KJIPUKTUK (Halifax) – All is not well in the Early Learning and Child Care sector in Nova Scotia, responses to an on-line survey of employers and employees clearly show. Inadequate wages, unhappy workers and a lack of cohesion across regions and service types are the main issues identified by Early Childhood Educators (ECEs). The survey was conducted by the Nova Scotia Office of the Canadian Centre for Policy Alternatives (CCPA-NS). Dr Lesley Frank and CCPA-NS director Dr Christine Saulnier co-authored the report, aptly named Unappreciated and underpaid, Early Childhood Educators in Nova Scotia. You know you’re in trouble when a full 39% of your workforce suggests they would not be an ECE if they were to choose a career today. Unhappy ECEs is an issue that should raise alarms among policymakers, parents and anybody who cares about social justice. After all, quality affordable and universally available childcare matters, especially if you consider that 22.5% of children in Nova Scotia live in poverty, and are already disadvantaged while barely out of the starting blocks. Yet, while politicians in power will often pay lip service to the importance of early childhood education, their (lack of) action speaks louder than words. ECEs are severely underpaid. Most recent data (2016) shows that ECEs still earn the lowest wages in the country ($16.05). The 2016 median Canada-wide hourly wage of $18.10 or even $19.52, ( being 60% of the median hourly wage for a Nova Scotia teacher) would be a more appropriate wage, the report’s authors write. Only 22% of ECEs felt that their pay was fair considering their background and skills, 67% felt that their salary does not adequately reflect the work that they do. This predominantly female profession suffers from societal expectations that all women face when they do this kind of work—it is assumed to take very little skill and that women do it because they love it and thus, they do not deserve to be fairly compensated. Lack of career improvement opportunities and a sense of job insecurity add to the malaise among ECE workers. Low wages and unsatisfactory working conditions also reflect a lack of public understanding of what an ECE is all about. 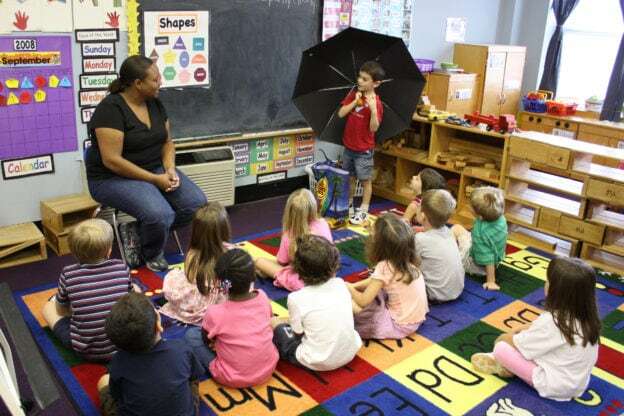 75% of ECEs surveyed had post-secondary credentials and specialized early learning training, yet workers are often perceived as glorified babysitters. ECEs are not ‘day care’ workers, they are educators who provide quality childcare and early learning opportunities to our youngest community members when they need it the most. Overall the government’s patchwork approach to the early learning and child care sector has been decidedly unhelpful, the report suggest. It creates inequalities between private vs not for profits, urban (Halifax-based) vs rural, and unionized and non-unionized ECE centres, in terms of salaries, benefits, and working conditions. The patchwork is further exacerbated by a rushed implementation of pre-primary education over the last two years. So what is to be done? Rather than paraphrase, I will quote the report’s main conclusion in full. “The bottom line is that the provincial government must eliminate the complicated grant programs and roll the funding into a plan for a system, not unlike our public education system. “Building a system, driven by quality and safety, requires a plan developed in collaboration with local communities, with funding tied to realizing that vision. The quality system must be affordable and accessible. This system must be adequately funded to prioritize ensuring quality care that is inclusive of children’s diverse social, cultural, linguistic, physical abilities and needs. The system must support self-determined planning of Indigenous services on and off First Nation reserves.